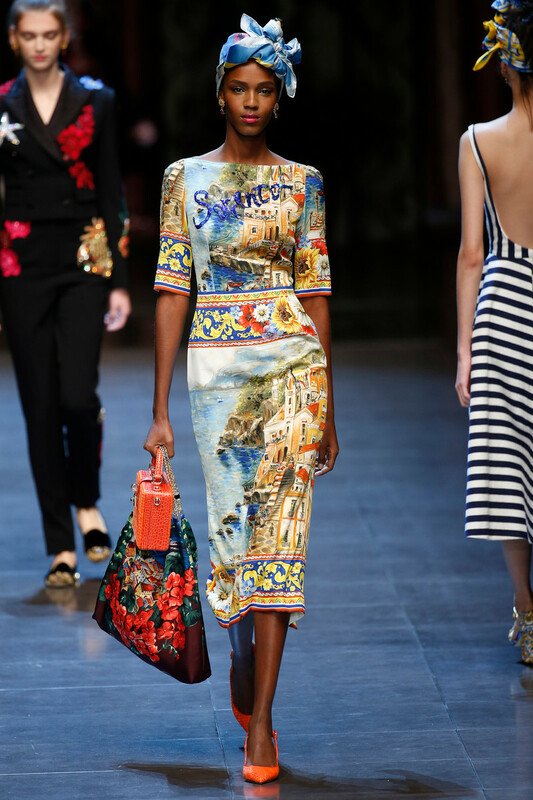 How many times can you reinvent Italy? 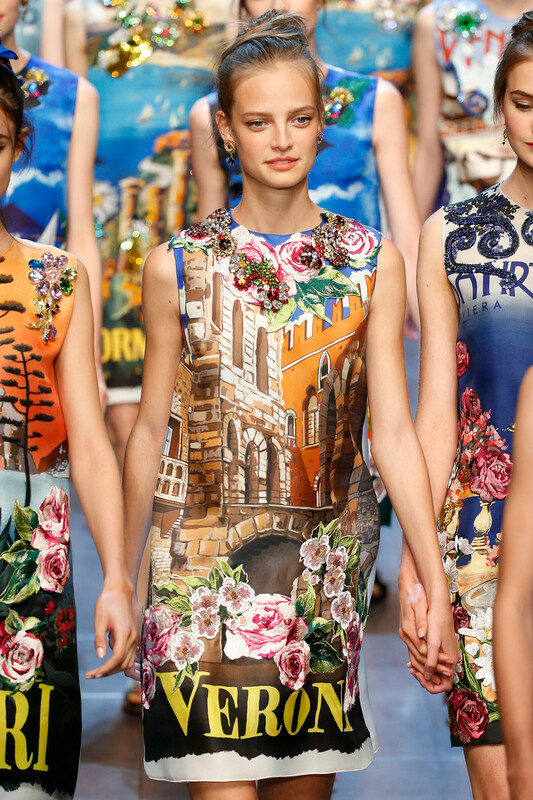 And how many times can you redefine Italian elegance and bravoure? 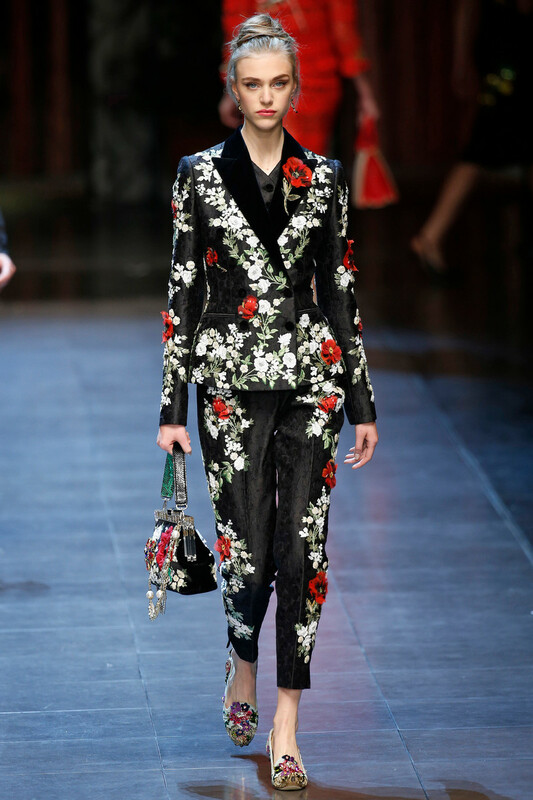 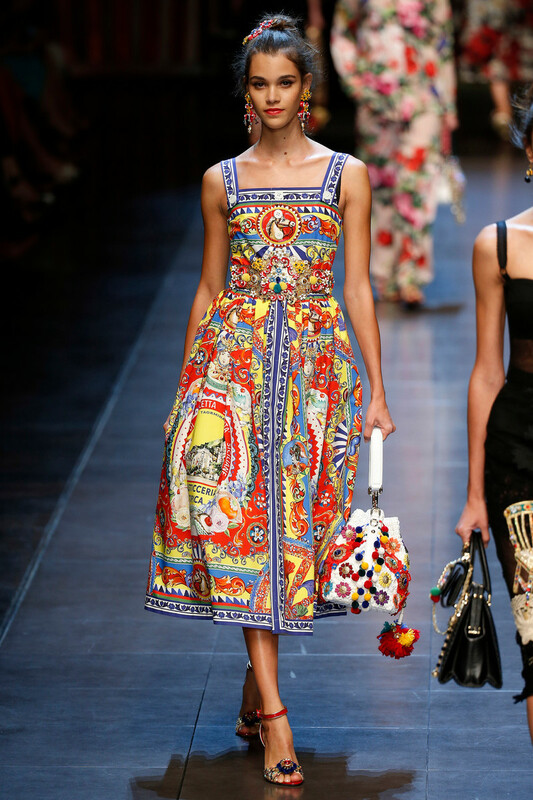 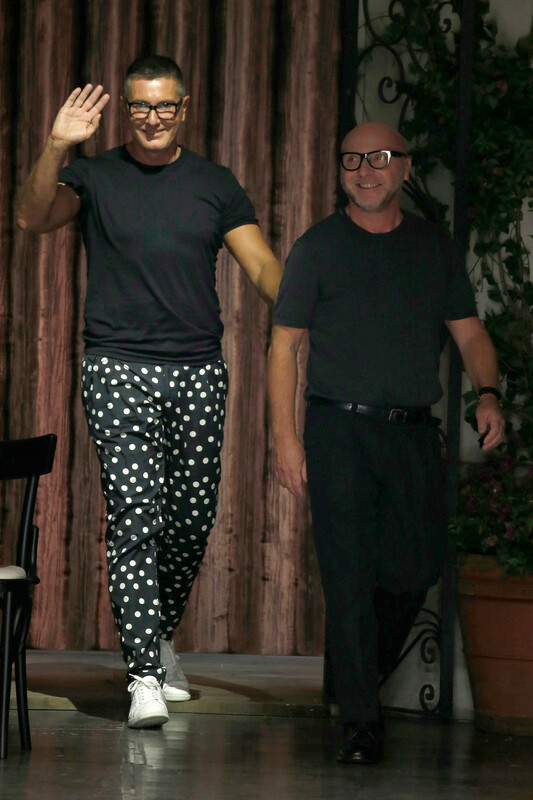 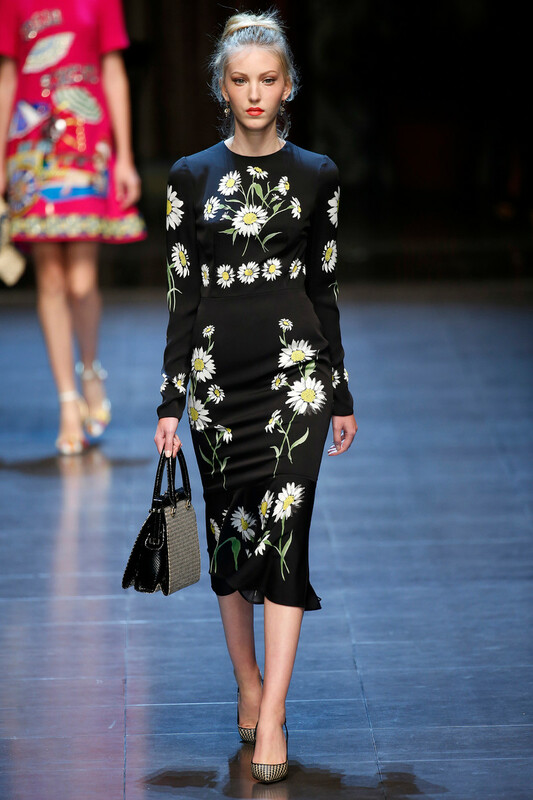 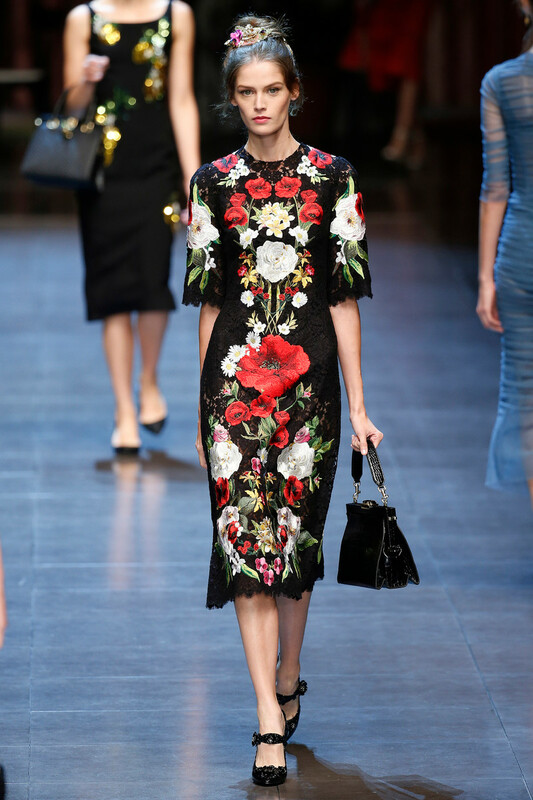 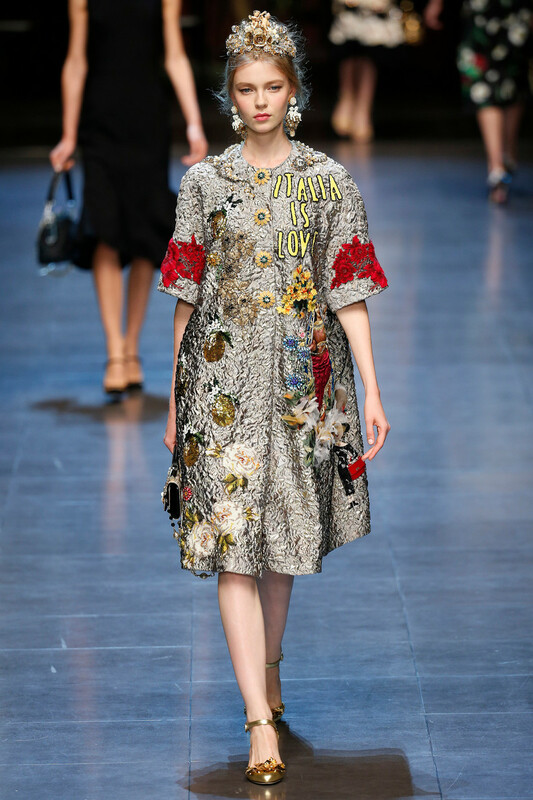 As many times as you like, if you ask Dolce&Gabbana. 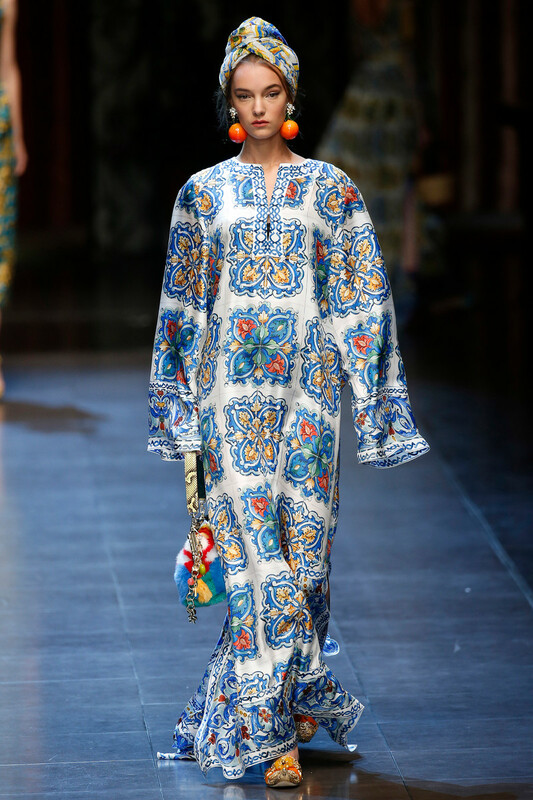 The show was obviously about their home country, their roots. 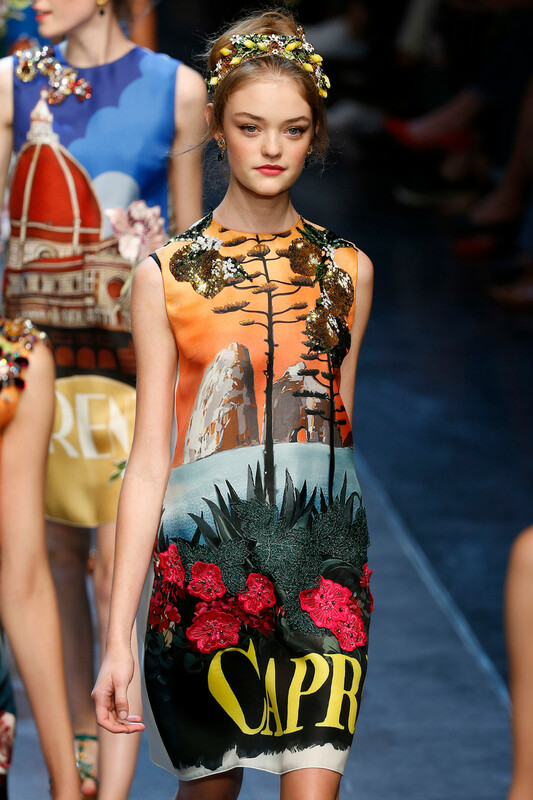 They’ve been working with this feeling of nostalgia for years now, creating the Italian myth. 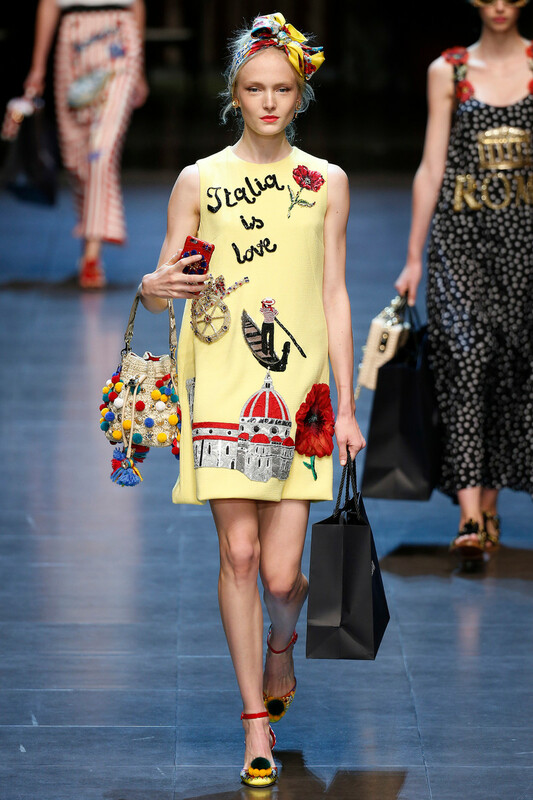 The main question this time: how do people outside Italy see Italy? 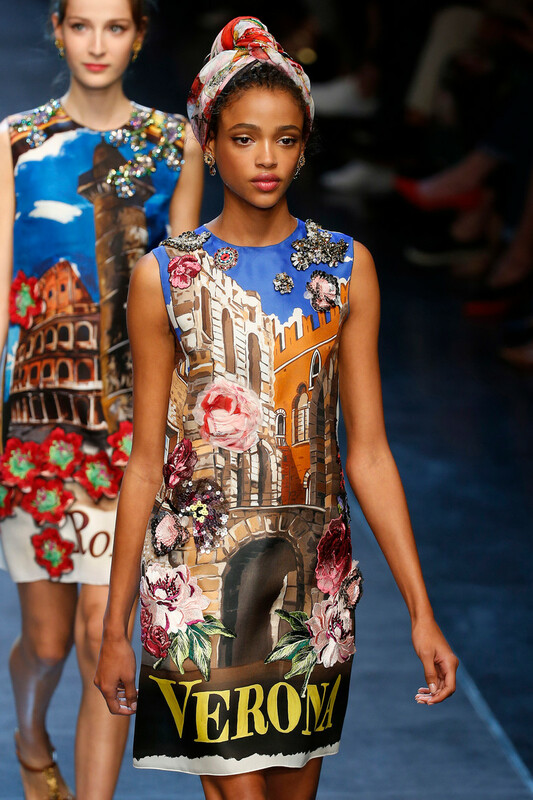 To answer this, we traveled around Italy. 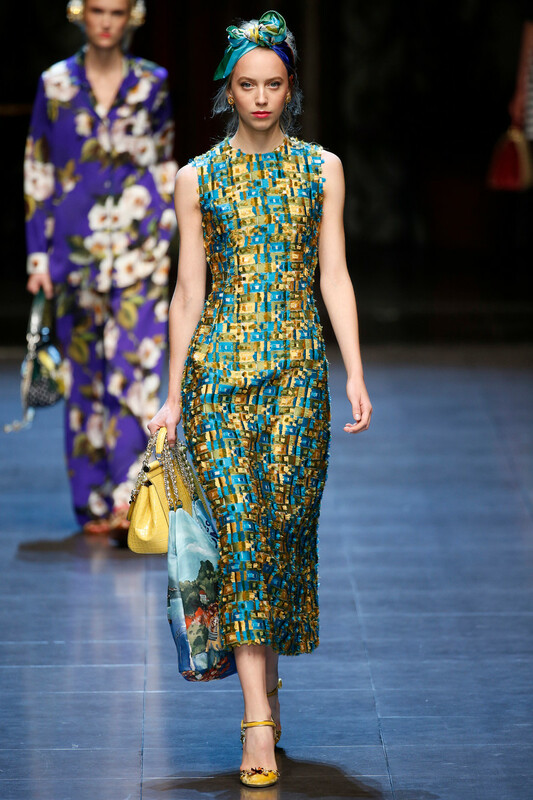 Starting in the 1940’s, its post-war period. 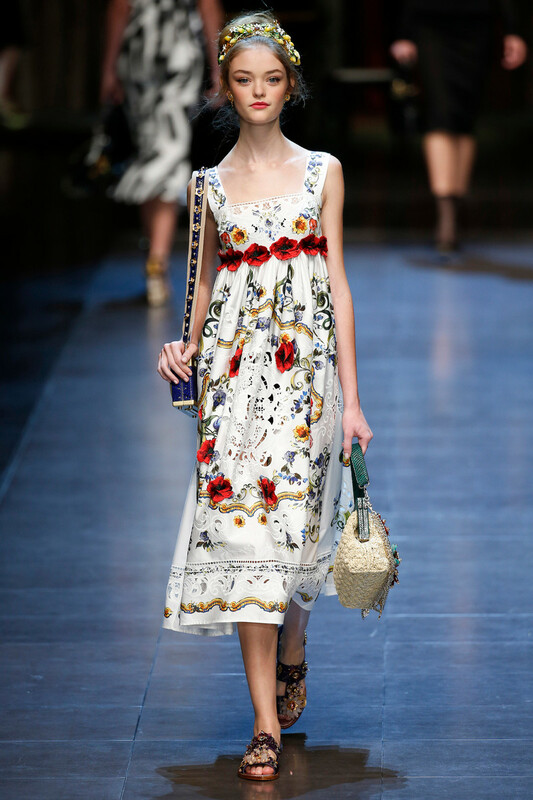 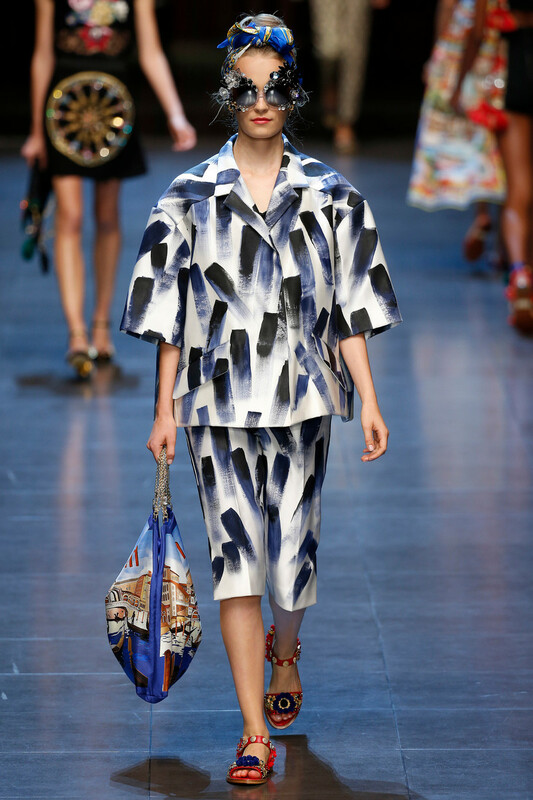 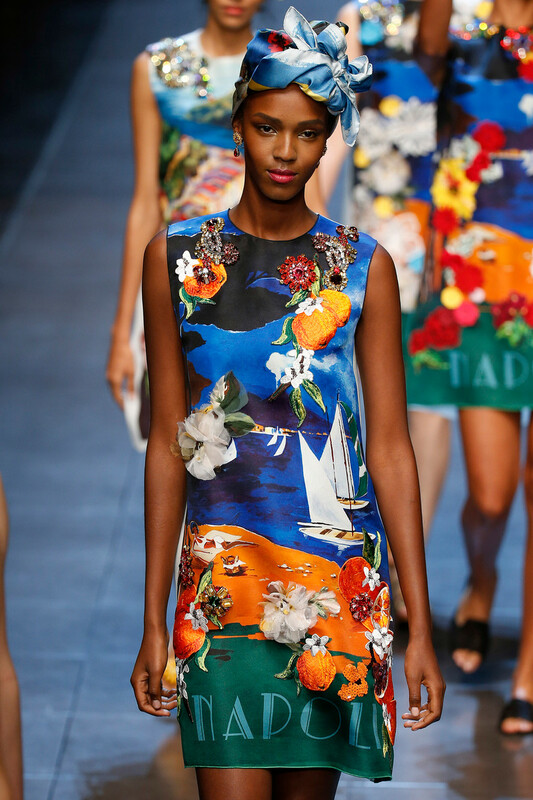 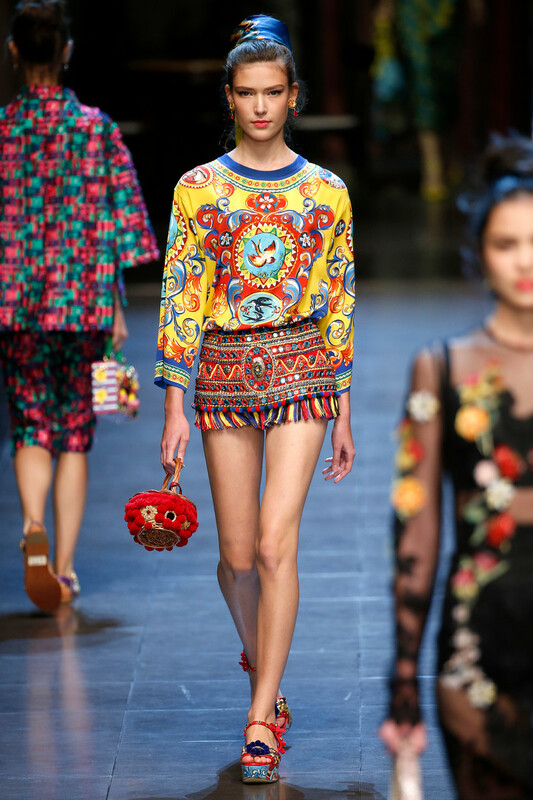 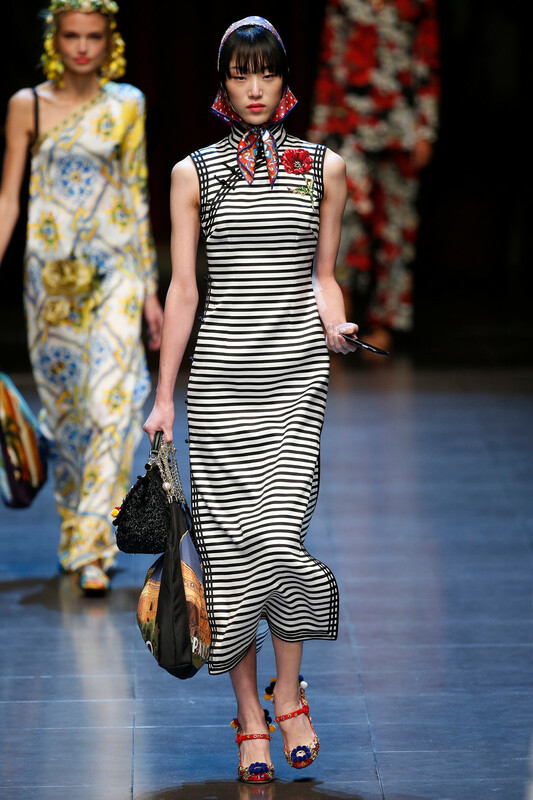 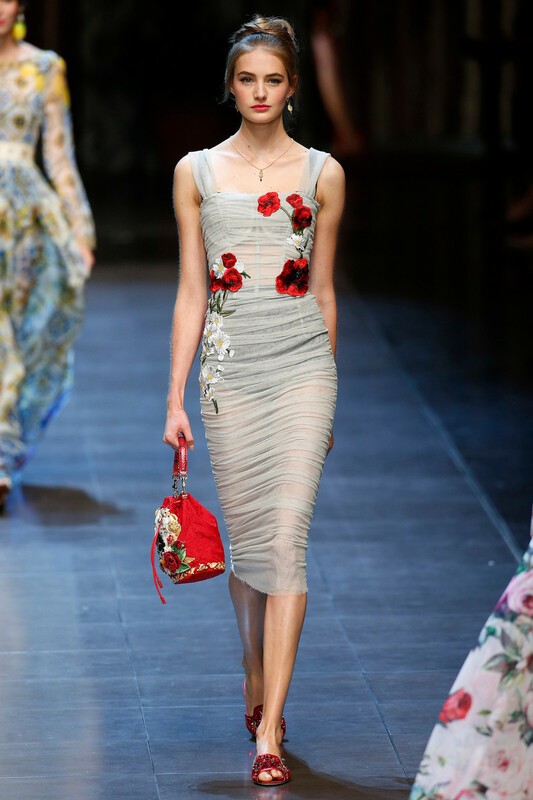 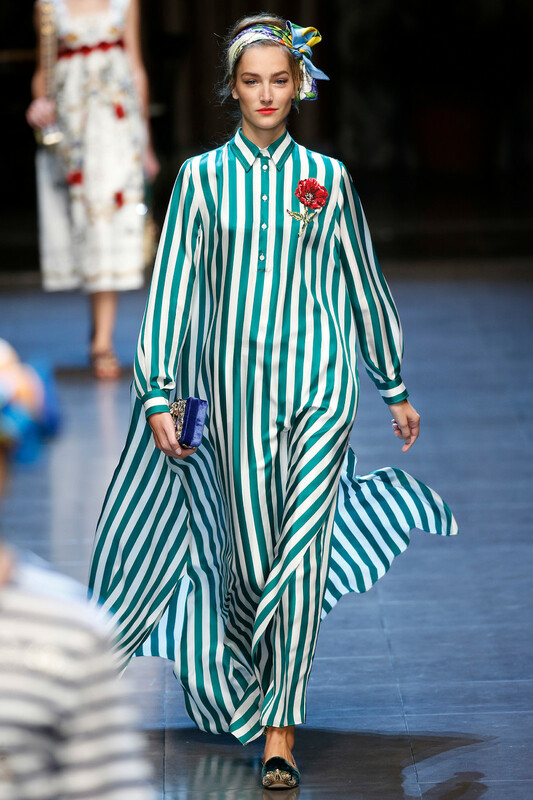 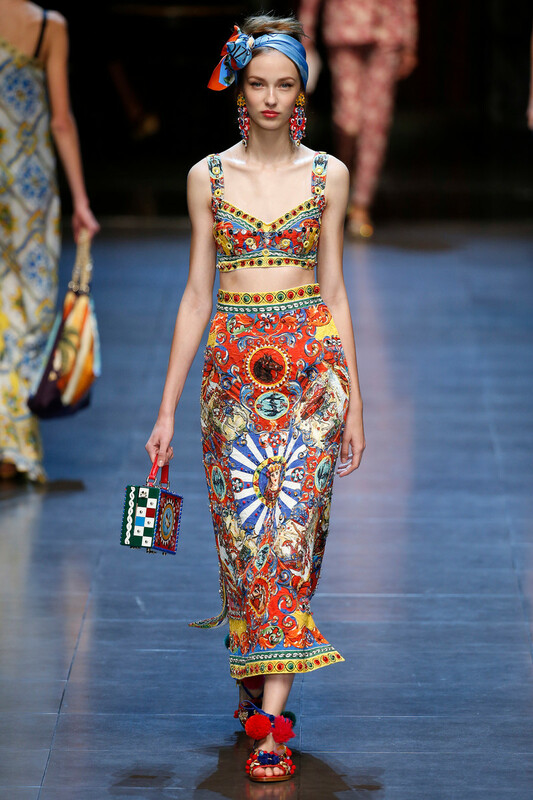 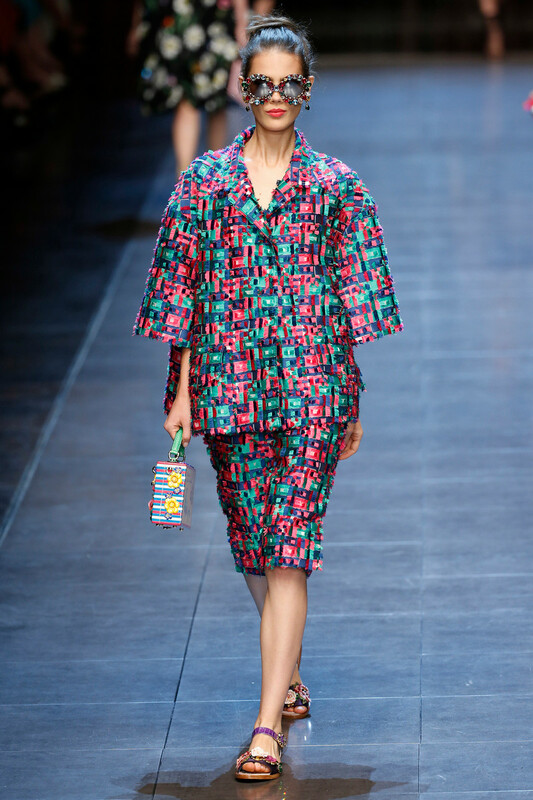 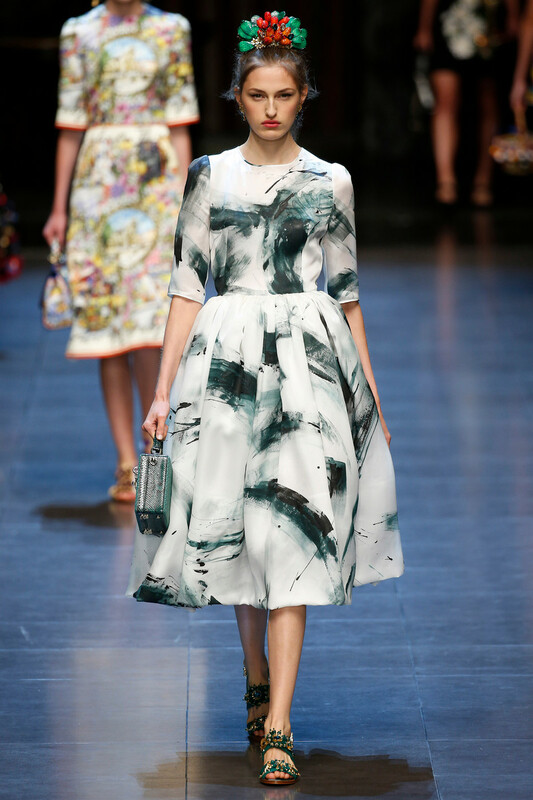 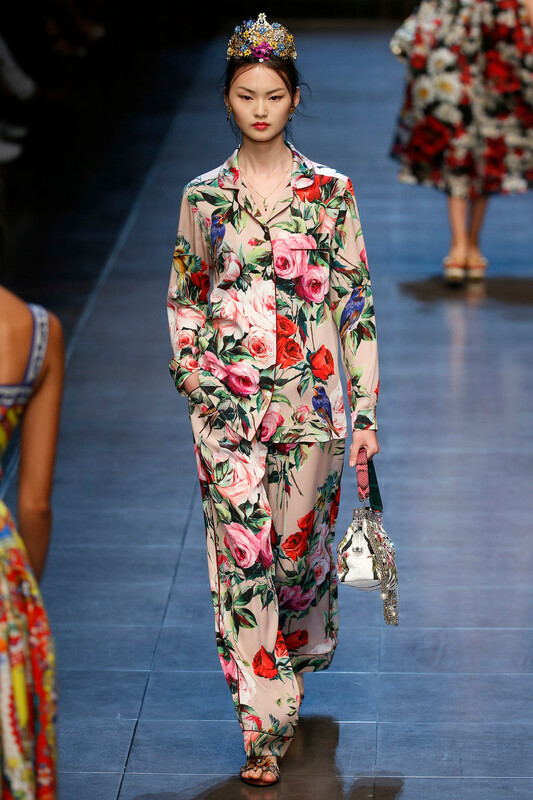 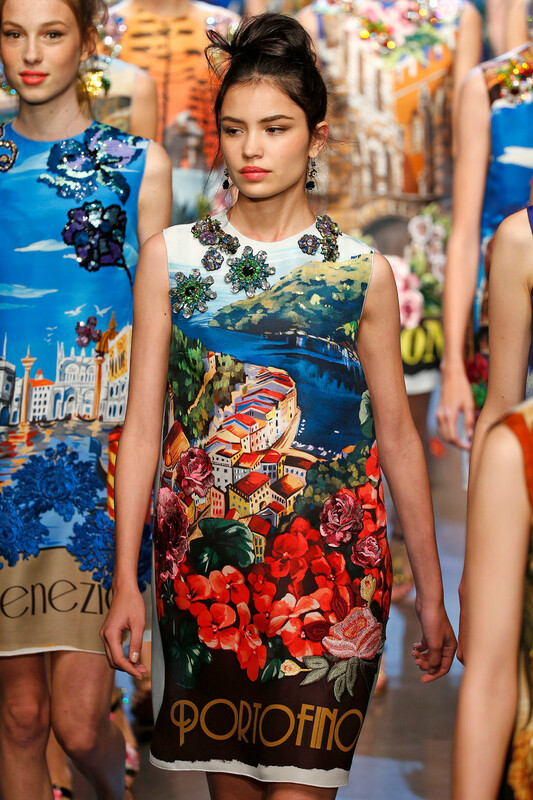 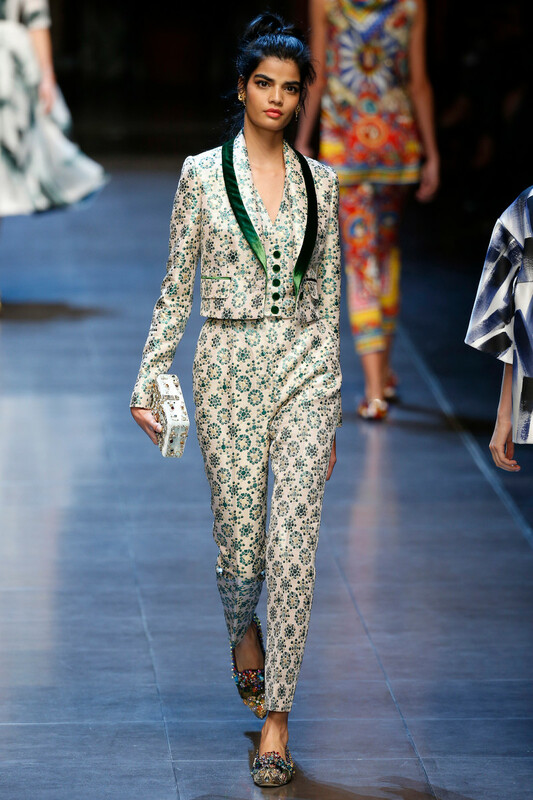 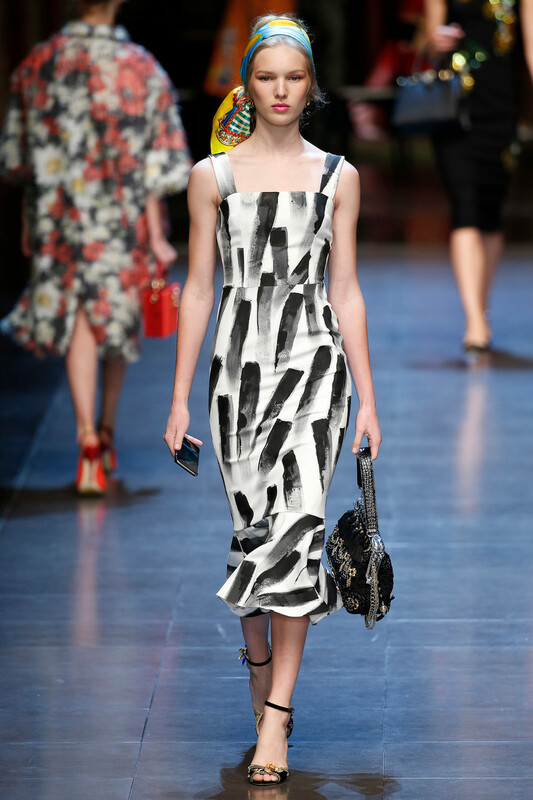 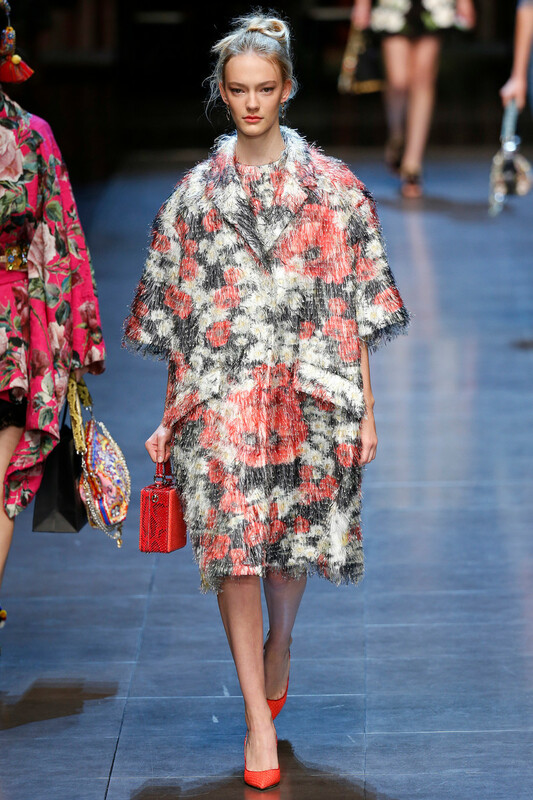 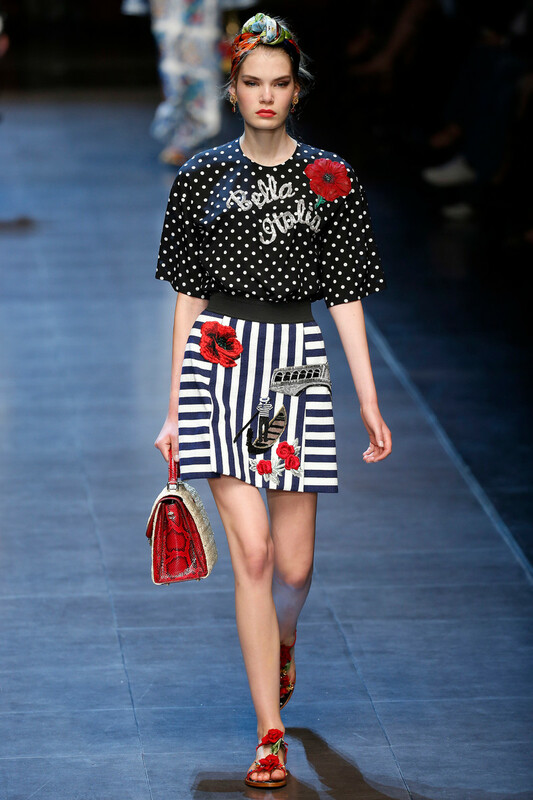 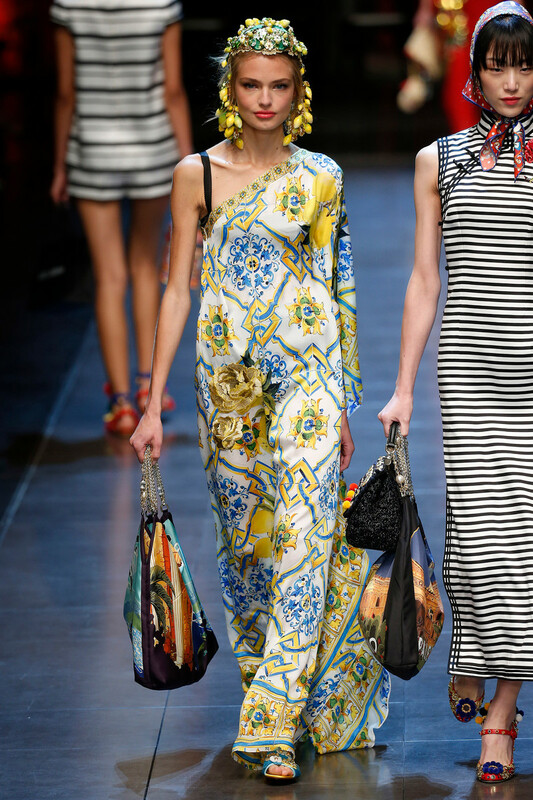 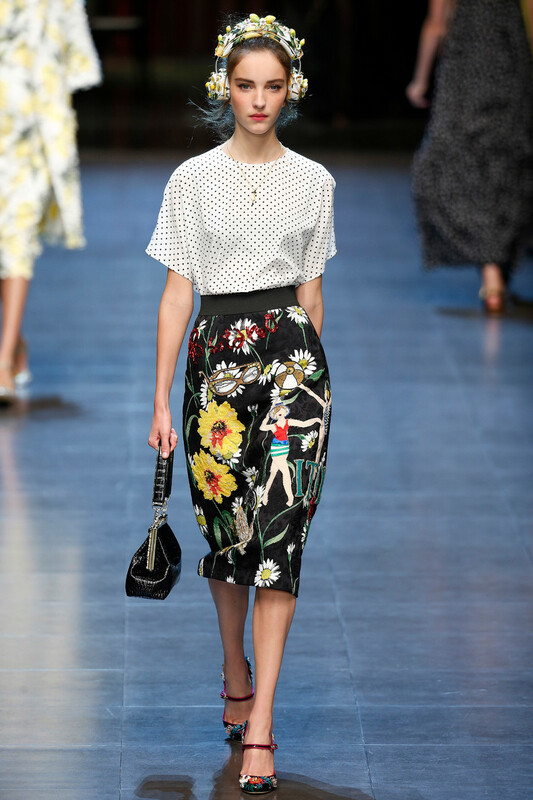 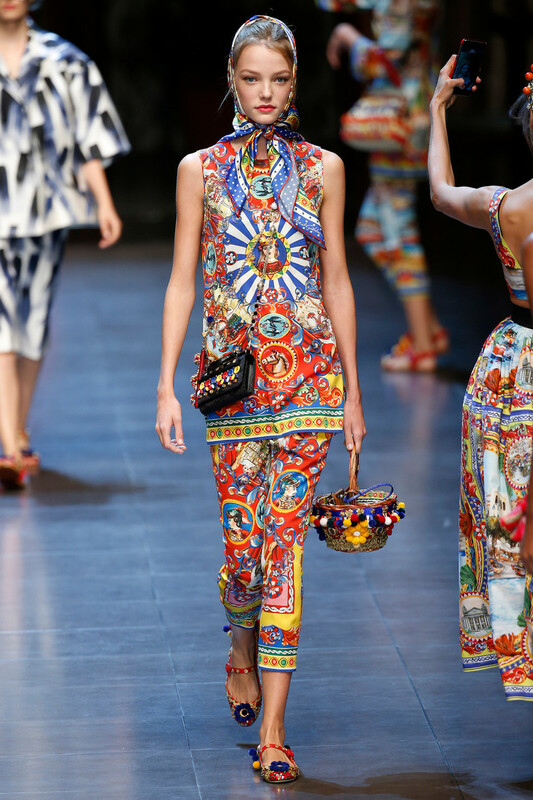 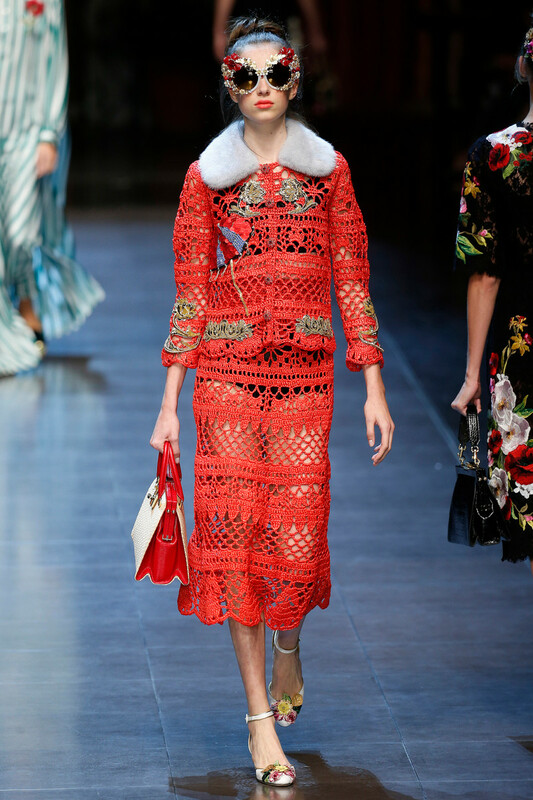 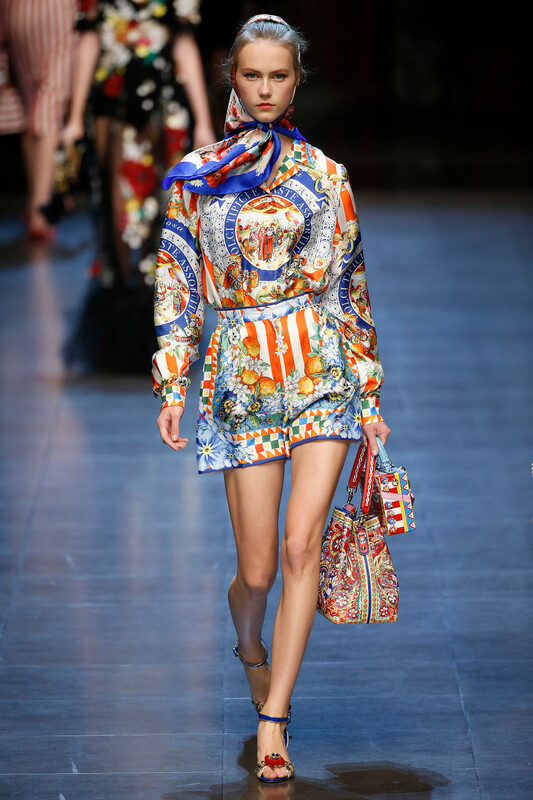 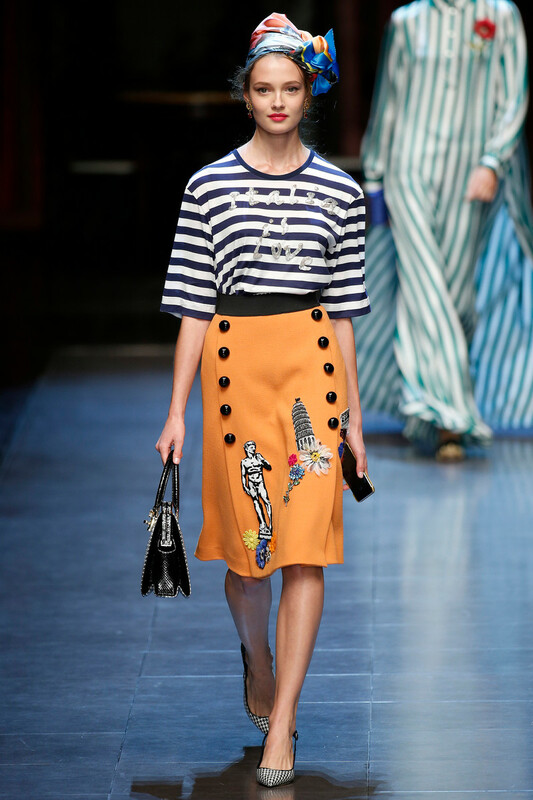 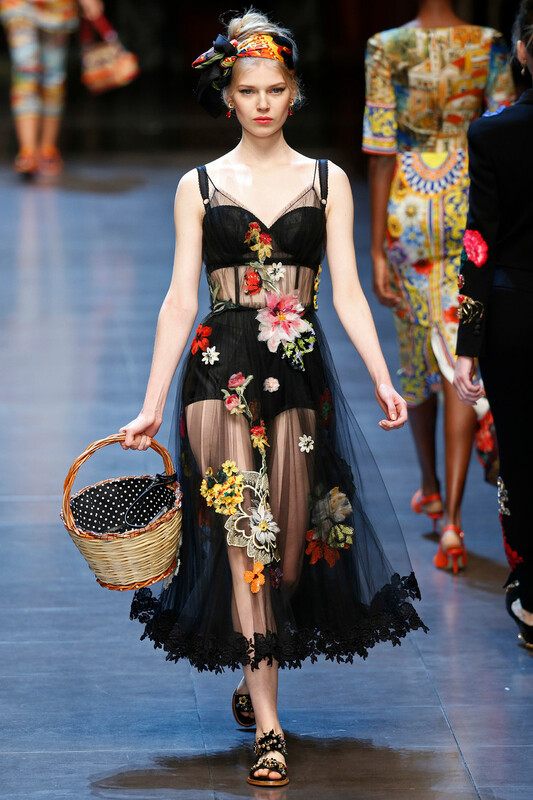 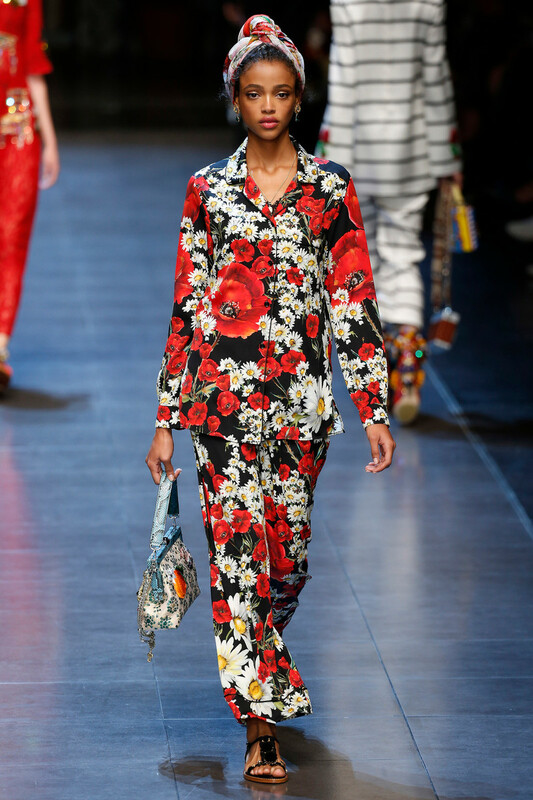 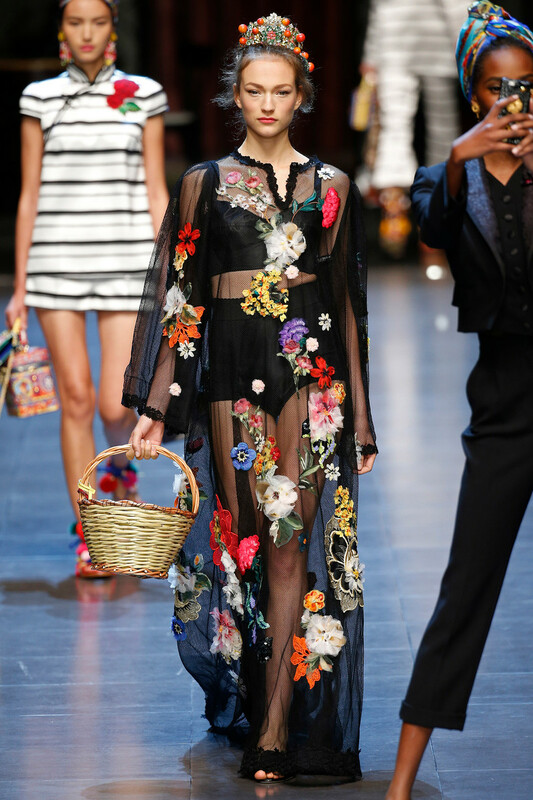 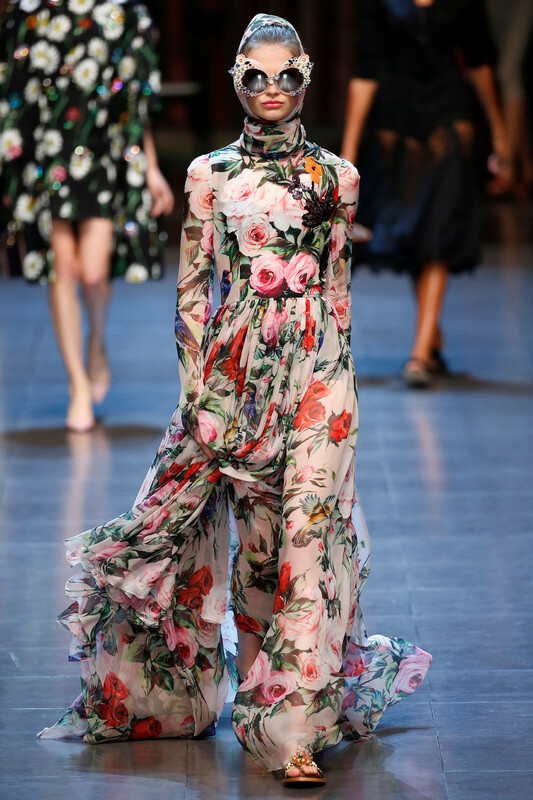 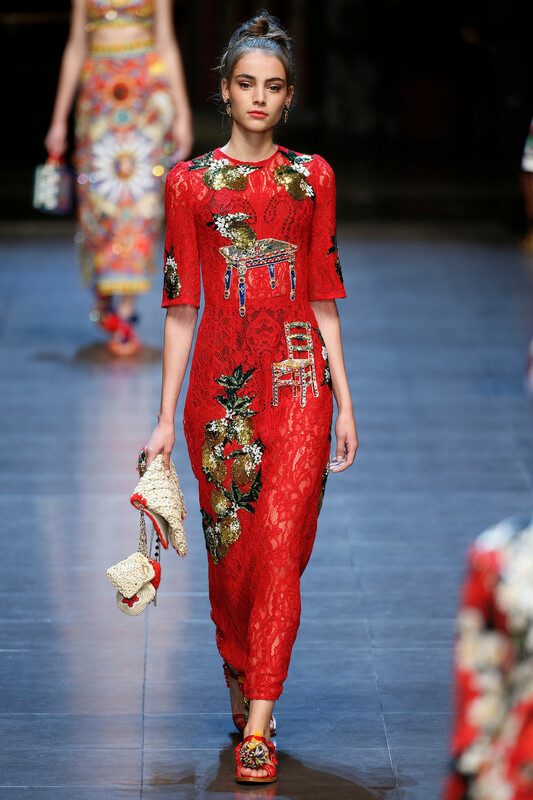 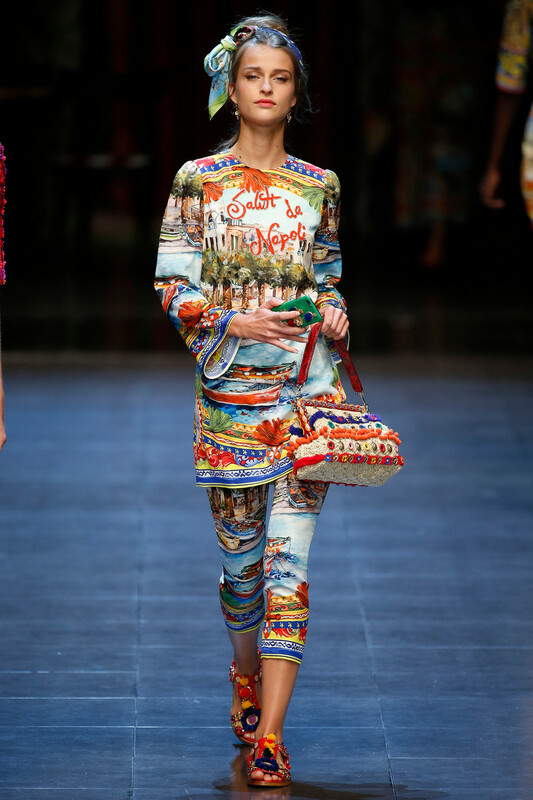 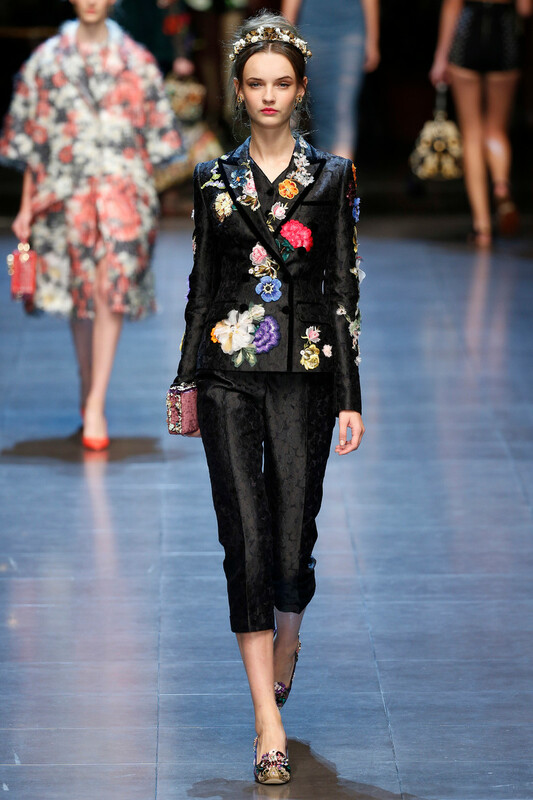 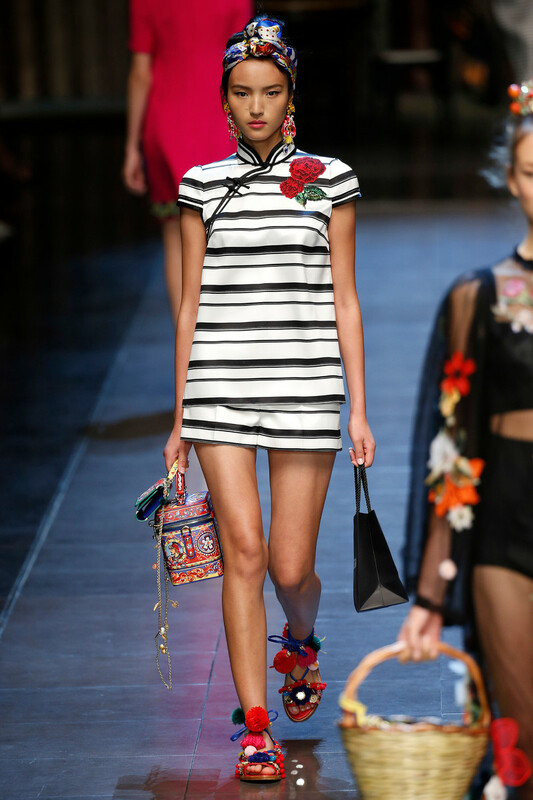 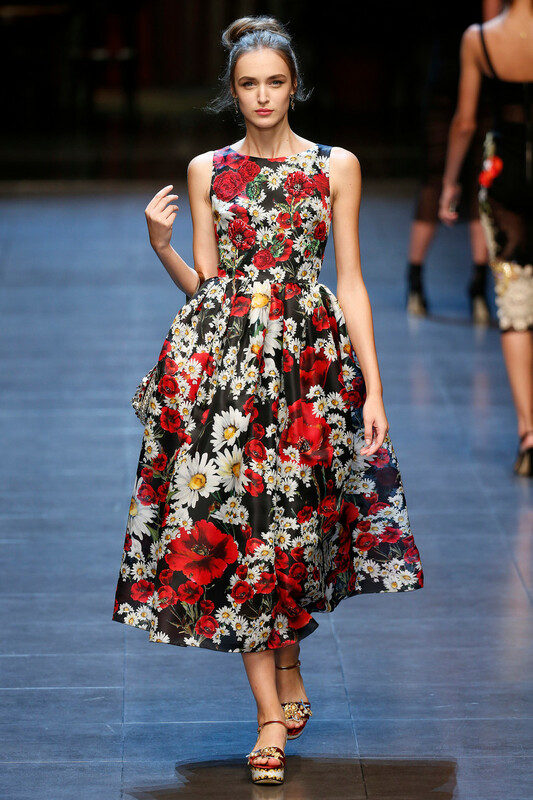 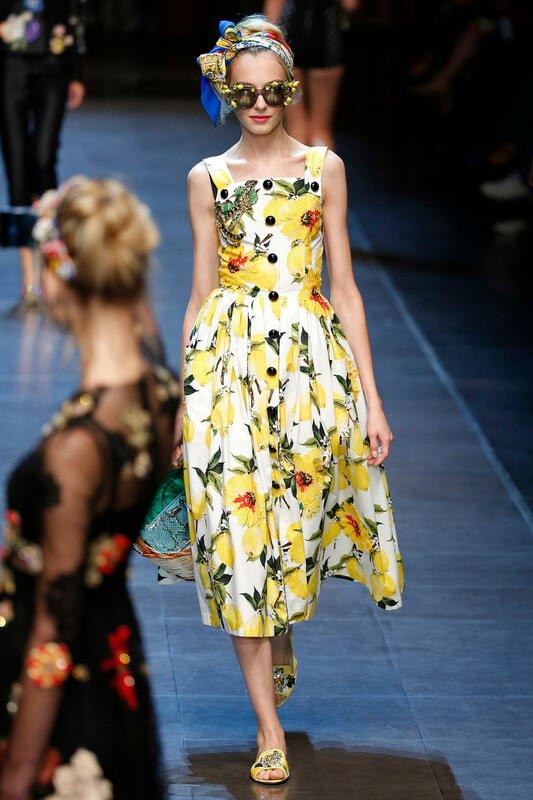 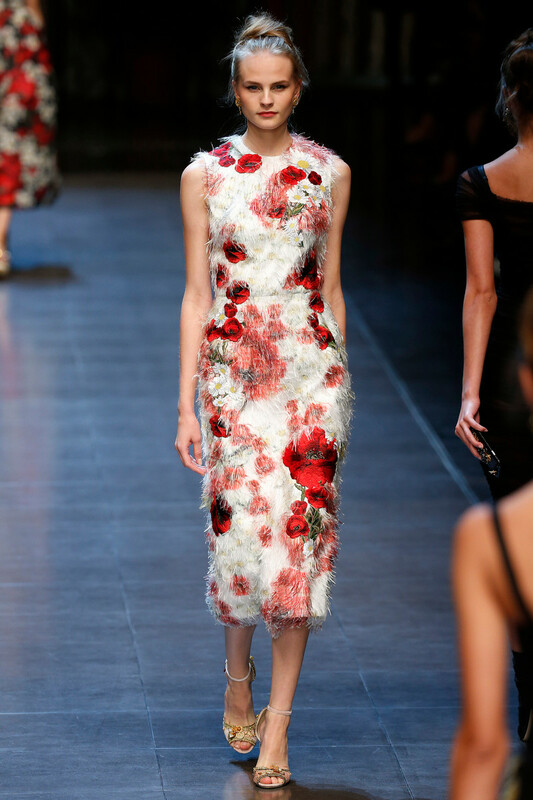 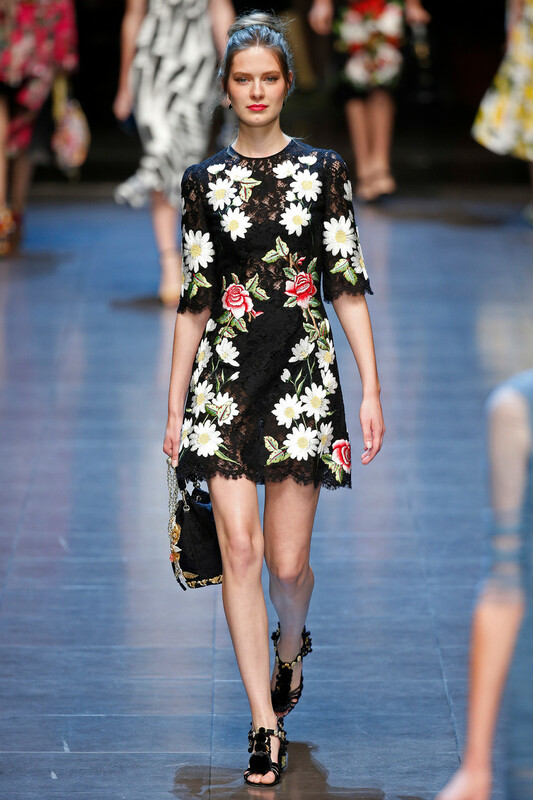 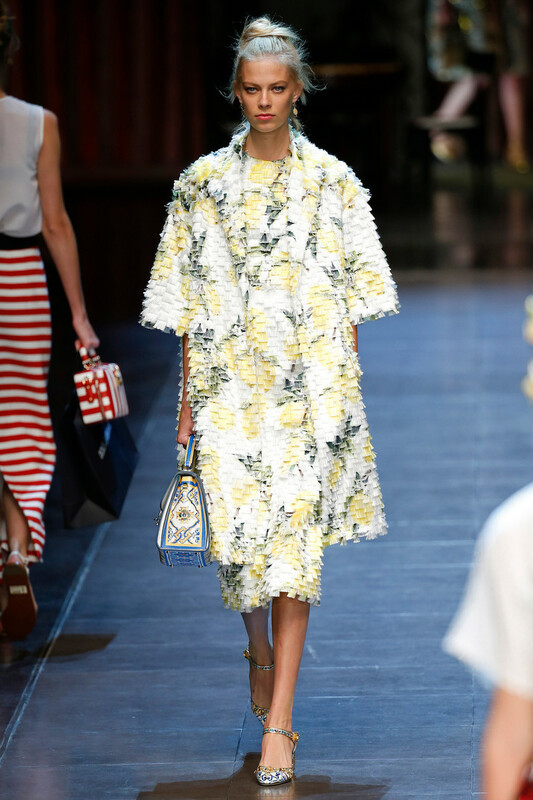 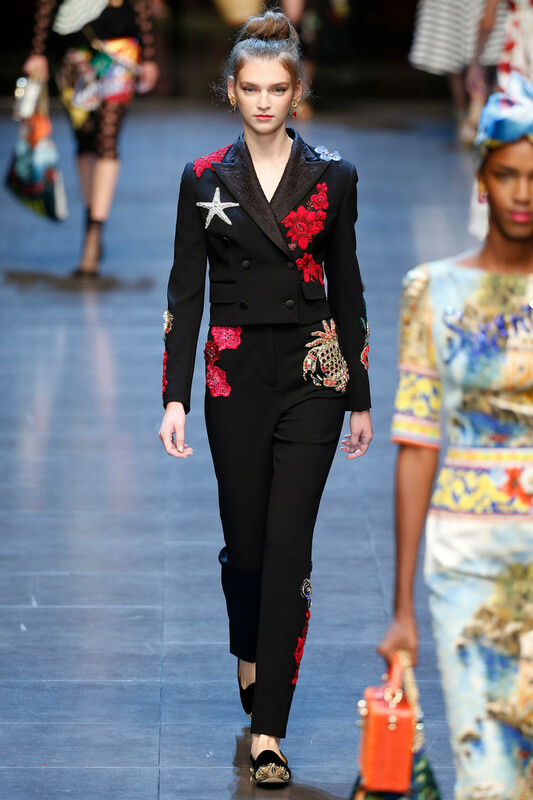 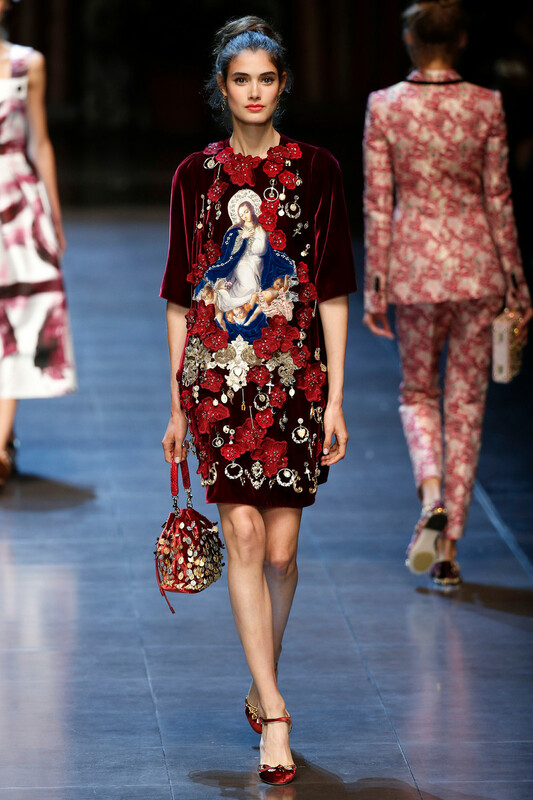 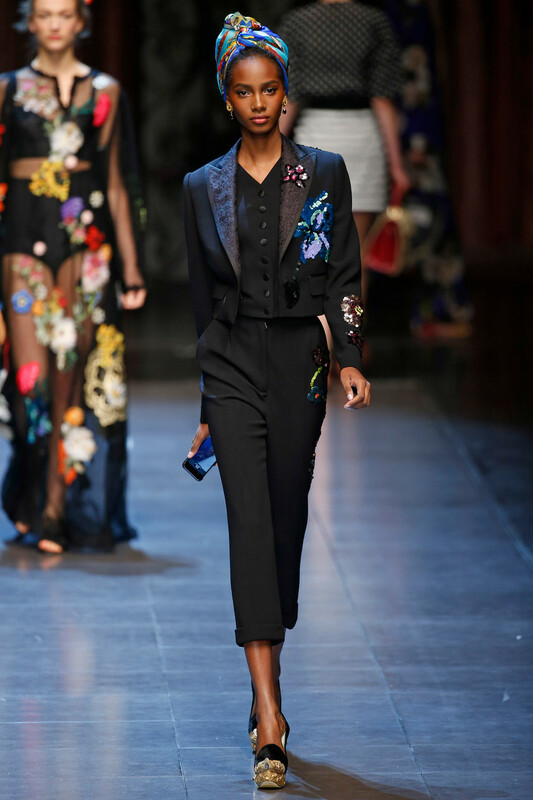 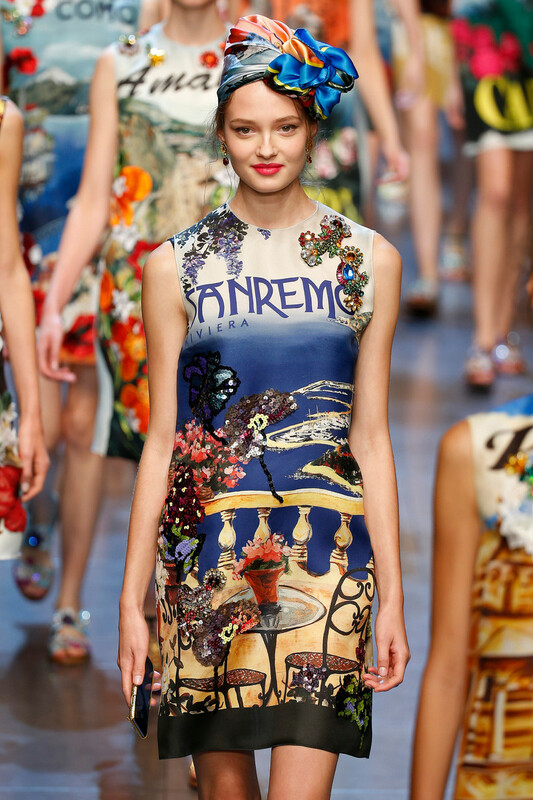 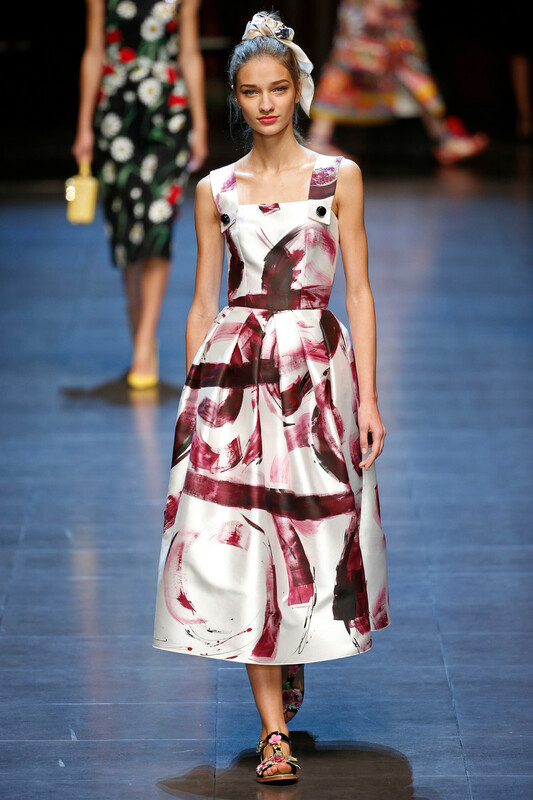 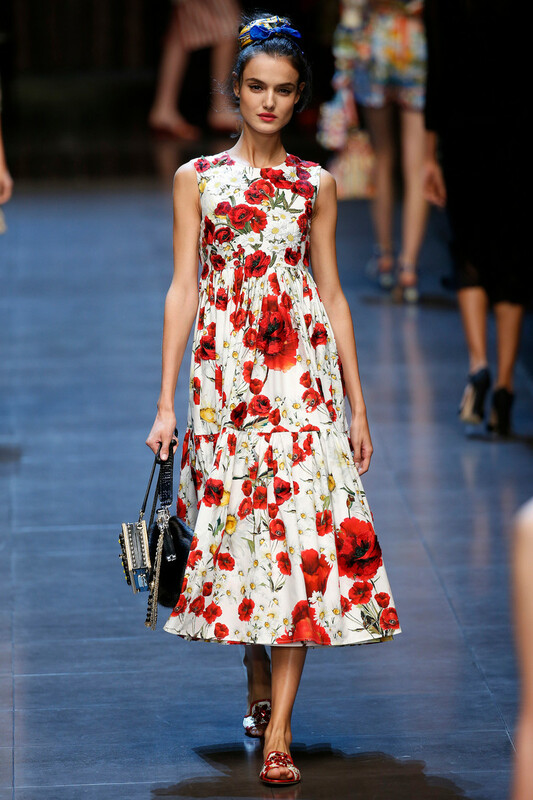 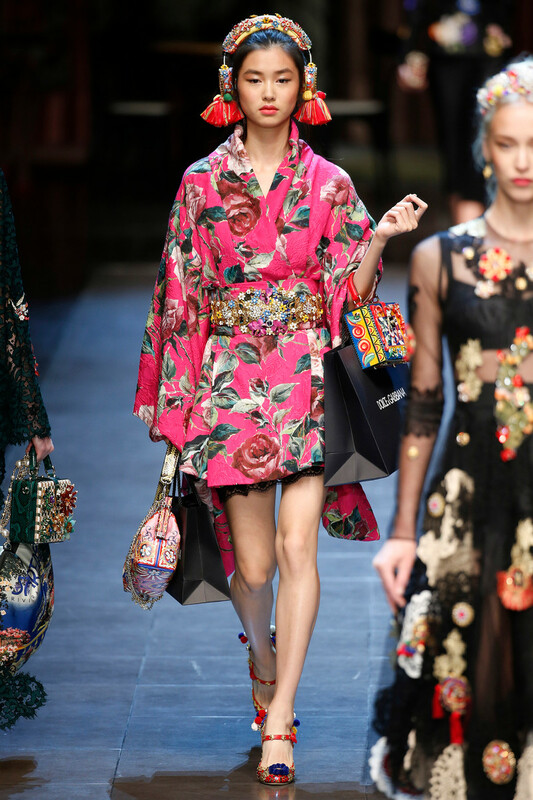 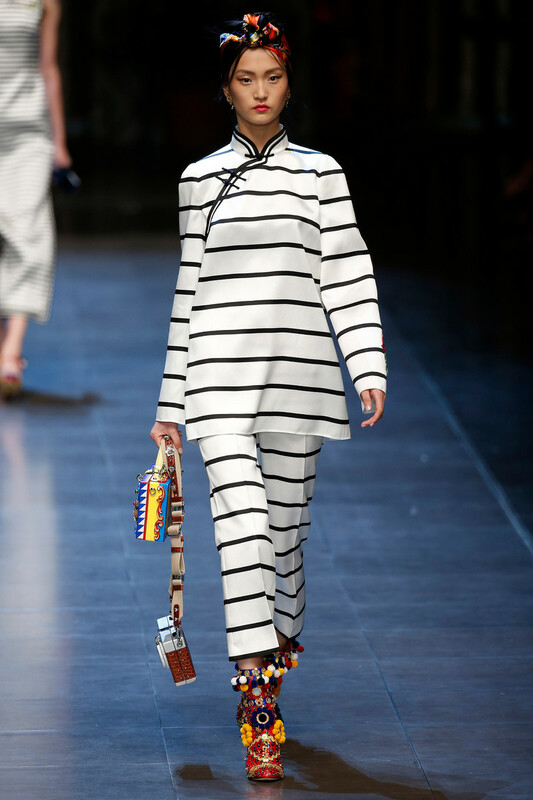 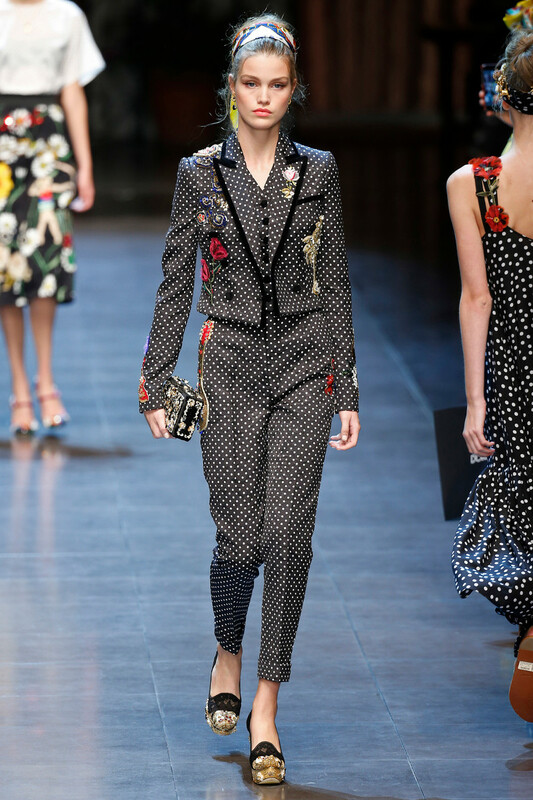 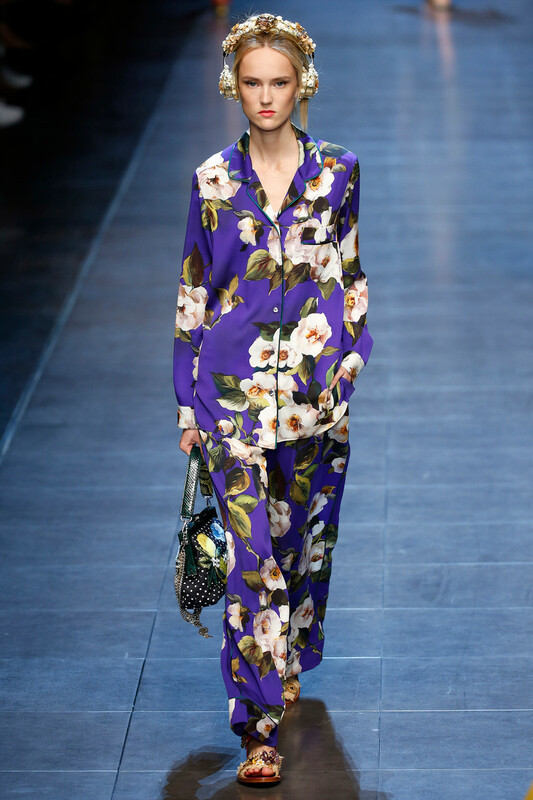 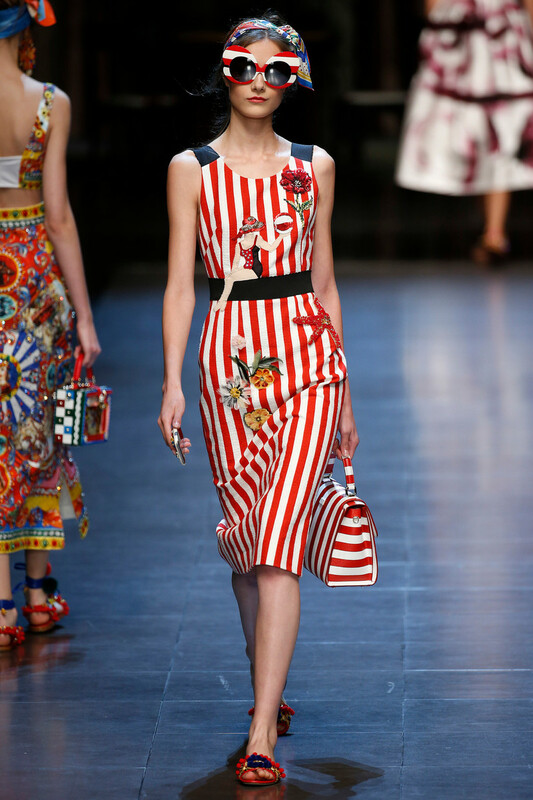 The models strutted down the catwalk in the most romantic, feminine and typical Italian creations. 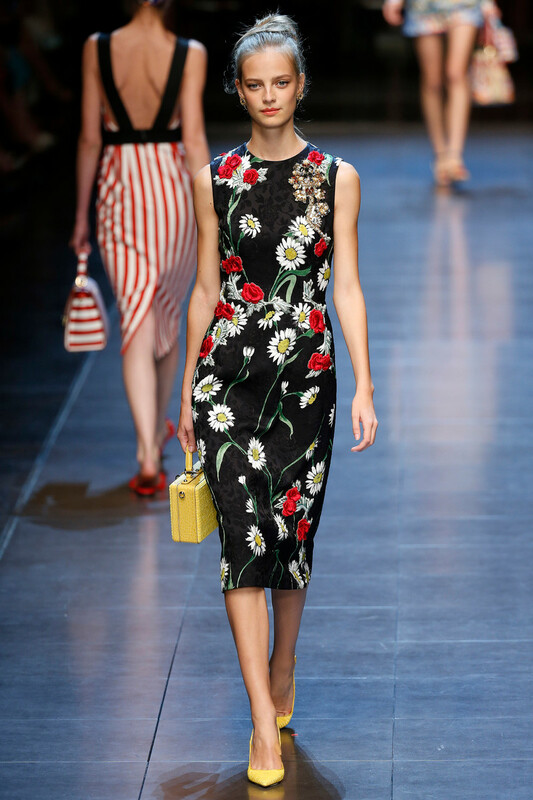 Fifties sundress silhouettes, appliquéd flowers in every colour, corset tops, cocktail dresses, silken striped caftans, short bouncy skirts, Peruvian pom-poms, all highly decorated, embellished and embroidered with classic Italian emblems and symbols, like the tower of Pisa and Michelangelo’s David. 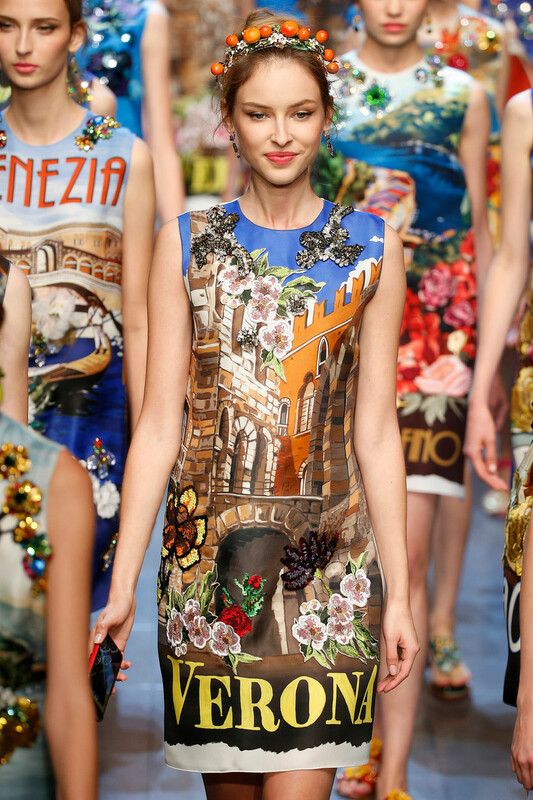 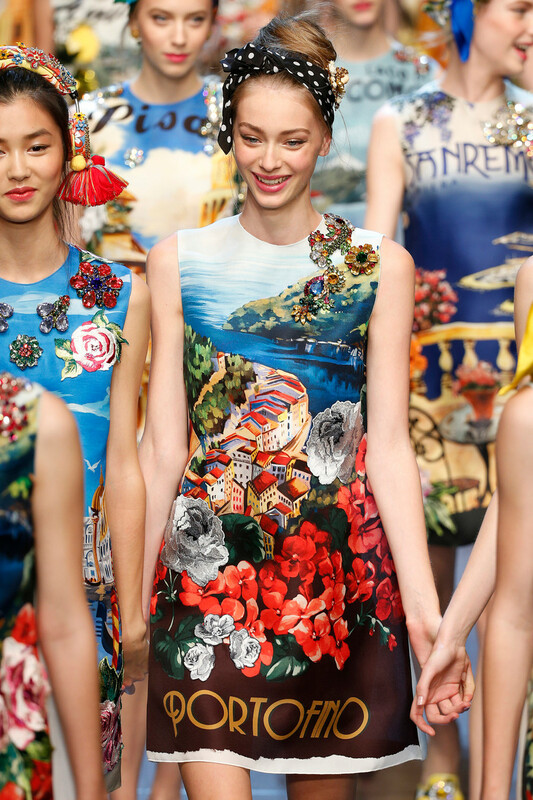 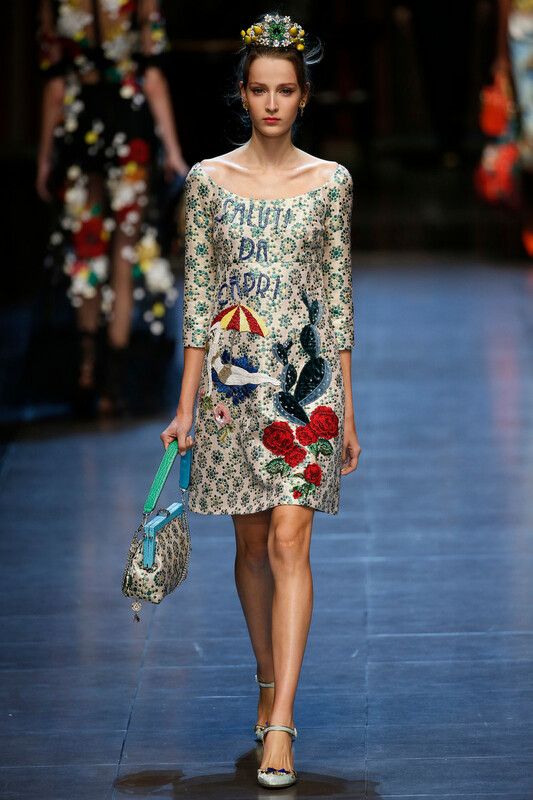 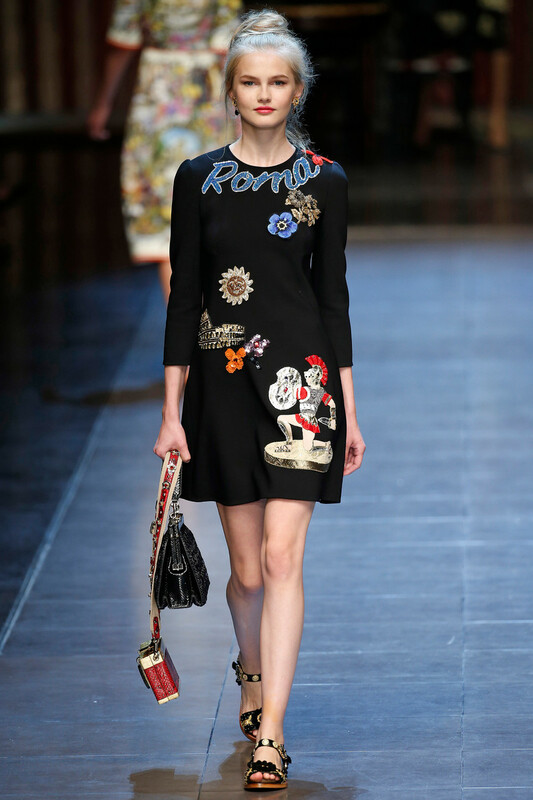 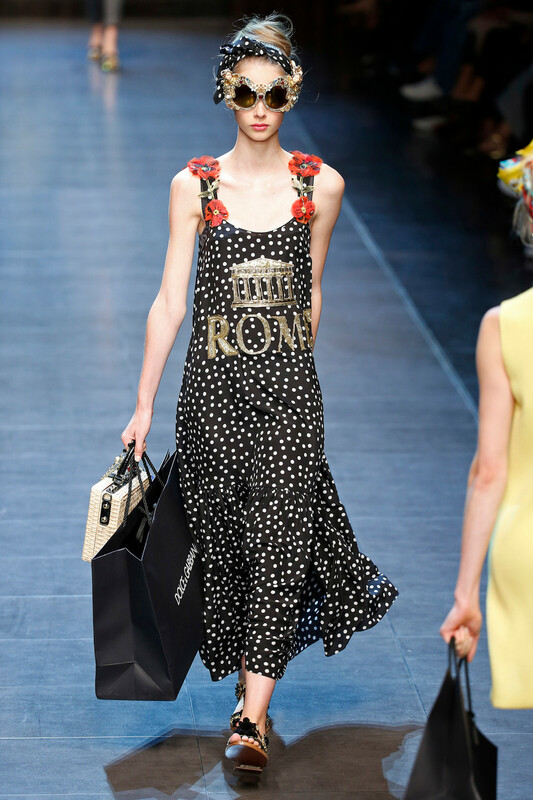 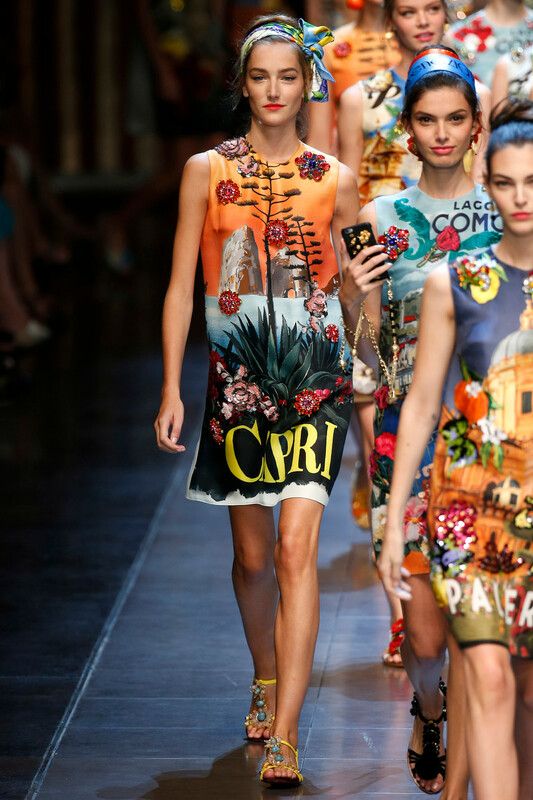 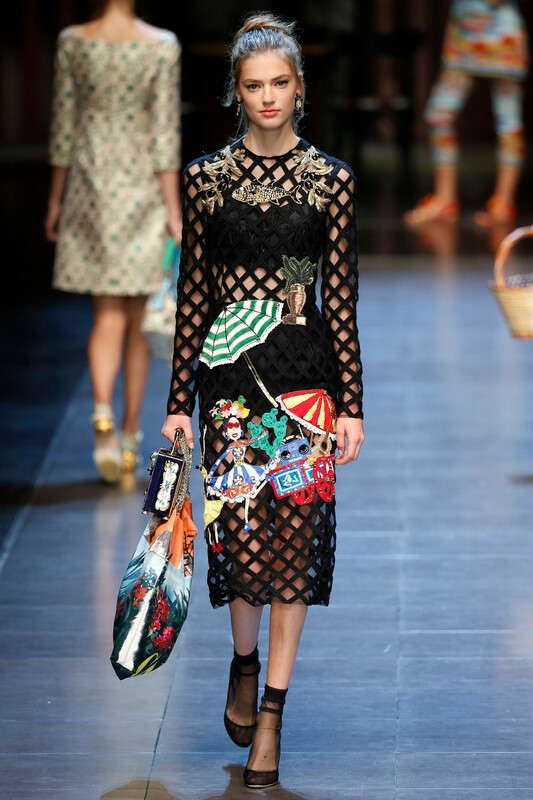 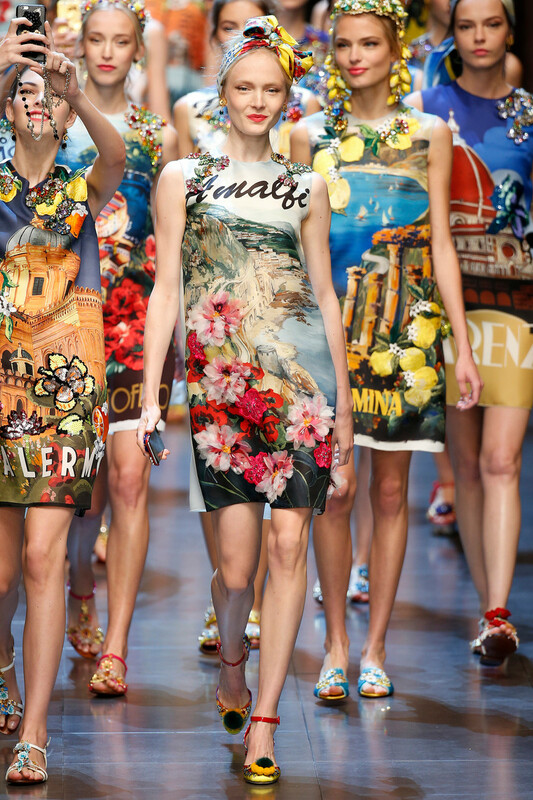 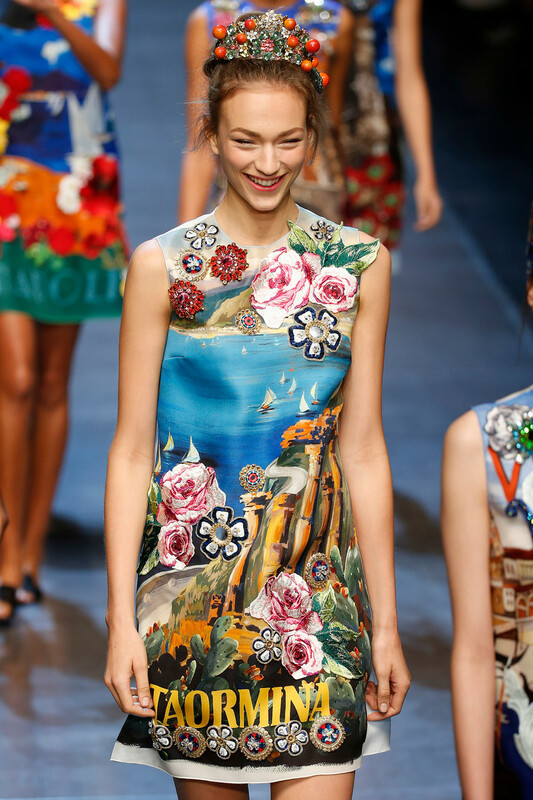 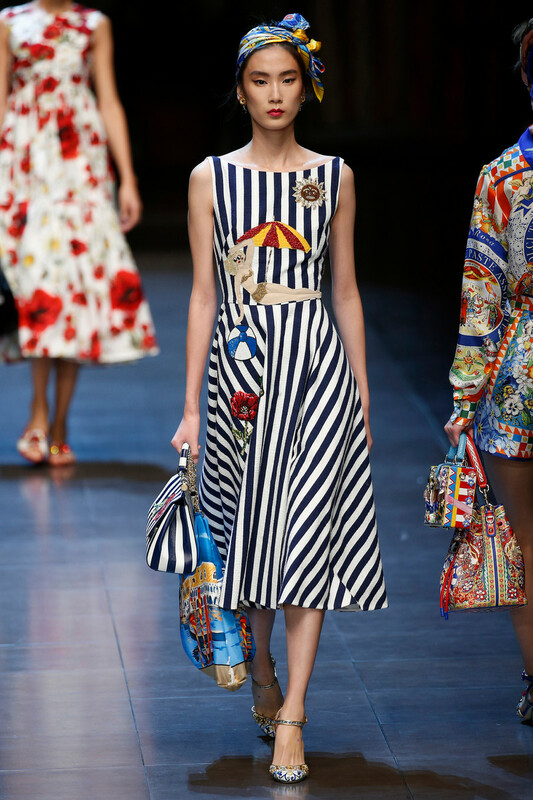 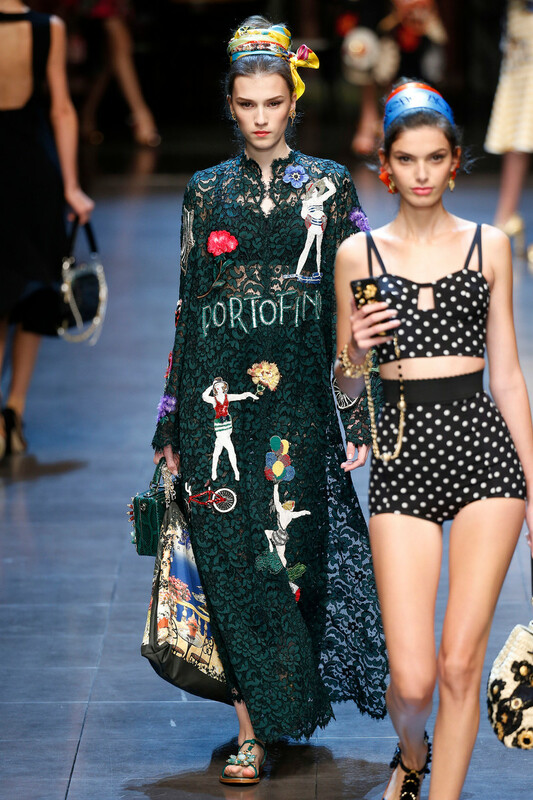 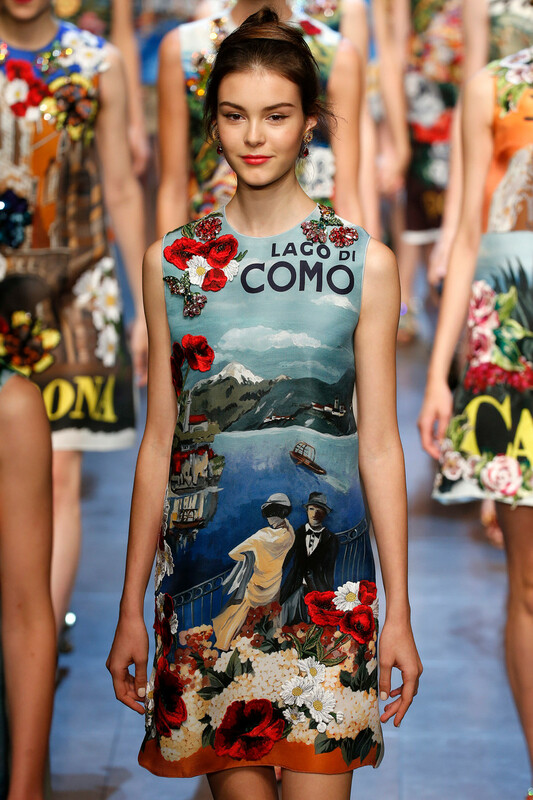 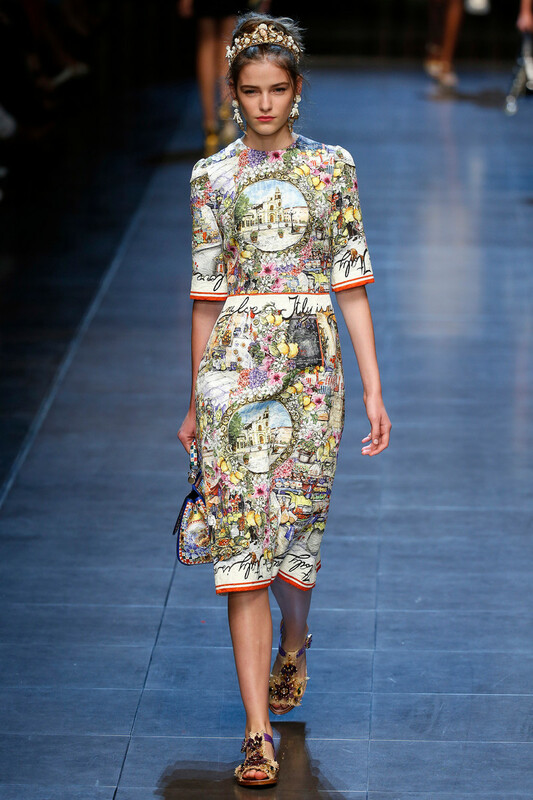 And how fun are those dresses with vintage postcard print and handwritten letters from Capri, Palermo or Lago di Como. 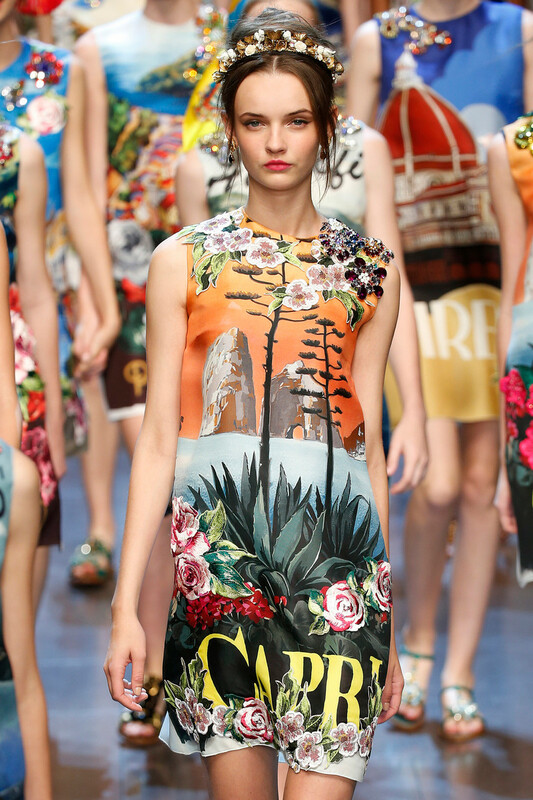 We couldn’t think of a better postcard to send home.